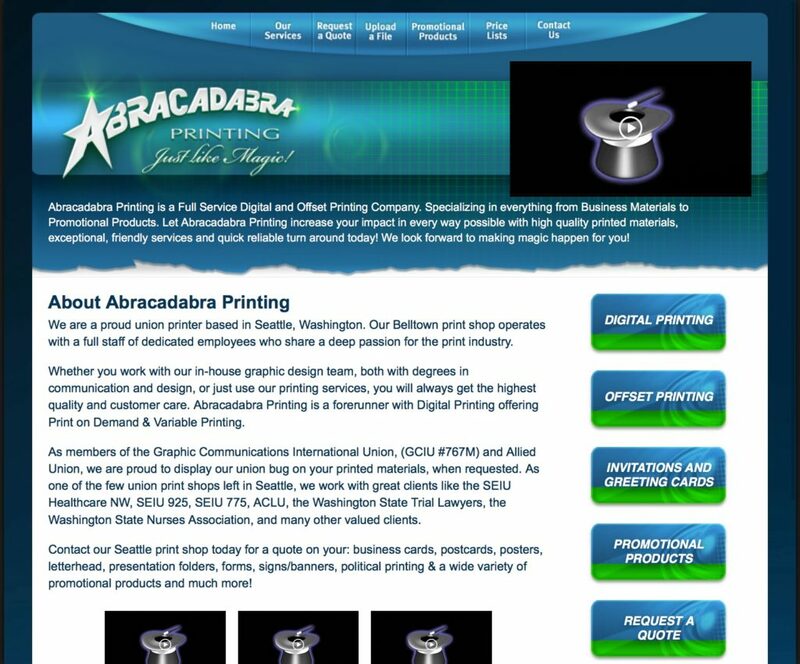 The folks at Abracadabra Printing have decades of experience and do meticulous work. In addition to top-notch printing, they offer a truly incredible array of promotional products — imagine your brand printed, engraved, or stitched into just about anything from a tiny decal to water bottles, sports jerseys, banners, or, for a successful after-IPO party, a fully-loaded laptop. They’re proud to be a union shop to boot. Do you need printing or promotional products? Give them a call. Joe, the owner, came to us for help finishing a website that had been orphaned by their previous developer. We untangled the existing code, finished the rest of the work, and helped connect their promotional products online shop. Update! A few years ago Joe called with a serious problem: the small, local company that hosted his website, email, and domain registration was shut down by a ransomware attack! That meant his website and email were down, which took a huge toll on his business communication. While Abracadabra’s original hosting company never made it back online, with a little detective work, some well-timed off-site backups, and a lot of determination we were able to recover his domain name and get his site and email up and running on a much larger, more reliable hosting plan. ← Should you use a slider or carousel on your website?